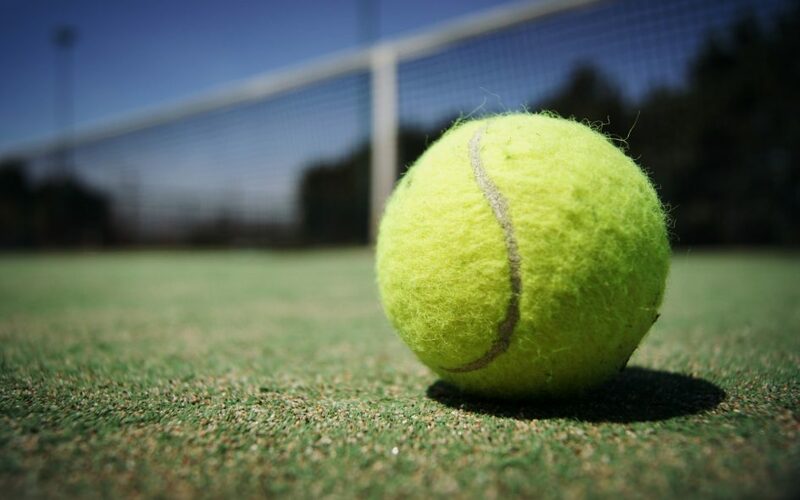 Tennis season is now in full swing, Wimbledon is just a serve away, it’s tempting for those of us not in the world rankings to be inspired and hot foot it to the nearest tennis court, but often at the detriment to their health. Tennis is a wonderful sport and is great for maintaining your health, fitness, strength and agility. It’s also mentally as well as physically challenging and burns a good number of calories. However, because of it’s high speed nature, it is worth taking the time to look at the areas that pose the greatest risk to injury to the body as a whole. Before we hear you all grunting like McEnroe we have included the 5 most common tennis injuries below. The powerful tennis stroke and serve requires repetitive arm movement and naturally high velocity which leads to problems with the shoulder, elbow and wrist. It’s also worth noting that your risk to injury could be increased if your racquet is not the right size for you, if it is too heavy or too wide. One of the most common injuries a physiotherapist will see is Tennis Elbow. Tennis Elbow is a repetitive strain injury caused by the repetitive use of your dominant arm. It causes micro trauma of the tendons attached to your elbow and the surrounding muscles. Up to 50% of tennis players will develop this condition at some point due to the high speed racquet impact and repetition. Physiotherapy management of tennis elbow includes rest from aggravating activity and a graduated strengthening programme for the forearm, as well as addressing the biomechanics of the whole arm and shoulder. Tennis players are prone to shoulder and RC injuries due to the continually powerful overhead movement of throwing the ball or swinging the racquet. Injury can be torn tendons and muscle strain. Shoulder muscles maintain the shoulder’s stability and it’s important to strengthen them to avoid injury. If you present with this injury a physiotherapist will be able to provide RC strengthening exercises and plyometric exercises further down the line. Lower body injuries are also seen by physiotherapists as the high frequency movements of sprinting and stopping puts tremendous pressure on the lower limbs. It can cause problems for the calf, thigh, knee and ankles. Injury to the tendons in the knee results from the constant change in movements from stopping and starting and quick pivots and jumps. Development of jumper’s knee could also be a result of poor flexibility of the thigh muscles (quadriceps), hamstrings and feet. The tension on the tendon can be reduced by stretching out the muscles at the front and back of the thigh. Physiotherapists can provide a series of strengthening exercises to avoid and prevent any further knee injury. Tennis leg results as an incomplete rupture of the inside of the calf muscle. A typical tennis injury and may be a result of the sudden contraction of the calf muscles during a sprint. It’s important to maintain strong calf muscles to help prevent injury. Warm up and cool down exercises as well as stretches are vital. The stop-start motion and quick change of direction in a game of tennis means the ankle takes a lot of the load. It’s important early on to focus on the reduction of pain and swelling and to restore normal range of movement. A physiotherapist may use techniques in joint mobilisation and soft tissue massage, as well as restoring strength to the muscles around the ankle and the leg, hip and core in order to provide long term stability. We have given a very simple overview of the most common tennis injuries and recommend you have your injury properly assessed to achieve the best possible outcome and enable you to be back on the courts in no time. If you’d like more information about how we use biomechanical assessments in the way we diagnose and treat patients please contact us. If you are still inspired to get down to your local tennis court, please make sure you build up to it first, preventing injury will allow you to continue playing the game well after the likes of Murray have gone home or it could be game, set and match before you are even started.